Aarti Drugs Limited is engaged in manufacturing of Pharmaceuticals products. The Company has established a strong presence in the Anti-diarrhea, Anti-inflammatory therapeutic groups. With its manufacturing facilities at Tarapur and Sarigam, the Company manufactures Vitamins, Anti-arthritis, Anti-fungal, Antibiotics, ACE inhibitors, besides its range in, anti-diabetic, anticholinergic, sedatives and anti-depressant drugs. The Company is a part of the Alchemie Group of Companies. 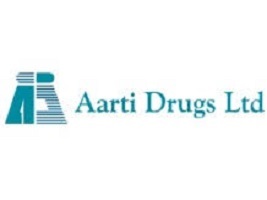 The Board of Directors of Aarti Drugs Limited , approved the Buyback up to 2,75,000 fully paid-up equity shares of face value of 10/- (Rupees Ten Only) each of the Company (“Equity Shares”) representing up to 1.15% of the total number of equity shares of the Company at a price of 875/- in cash for an aggregate amount of up to 24,06,25,000/- (“Buyback Size”) , which represents 5.97% of the fully paid-up equity share capital and free reserves proportionate basis through the tender offer (“Tender Offer”). 1. Firstly to be eligible for the buyback the investor should have shares of Aarti Drugs Limited in demat or physical form as on record date 19 January 2018. 2. Once you have shares in demat, you can participate in the buyback process which is opening from [14.02.2018 to 28.02.2018] by selling your shares through your broker on NSE or BSE. 3. Then on 19 March 2018, the payment will be given to you for accepted shares and unaccepted shares will be returned to your demat account. is this correct that acceptance ratio for this was 100 % as showing on your past performance screen…?? ?